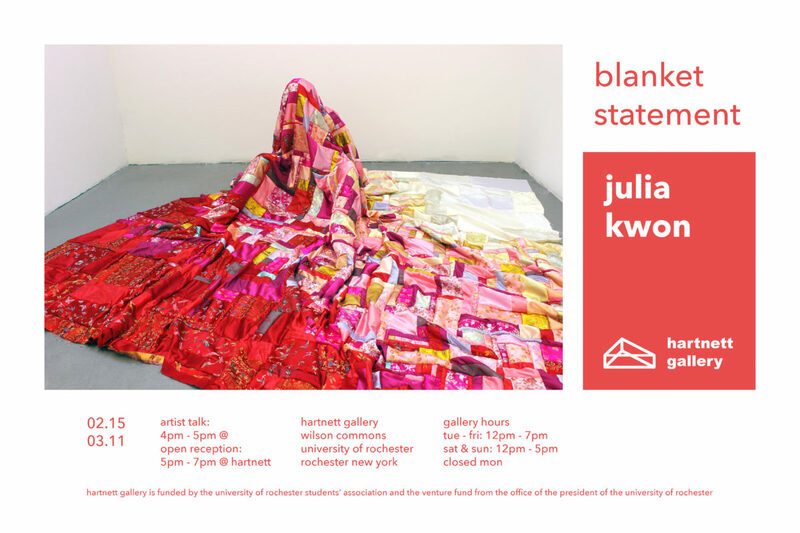 Hartnett Gallery is pleased to present Julia Kwon’s Blanket Statement as the third exhibition of the 2017/18 calendar year. Join us for an opening night reception celebrating this unique exhibition. 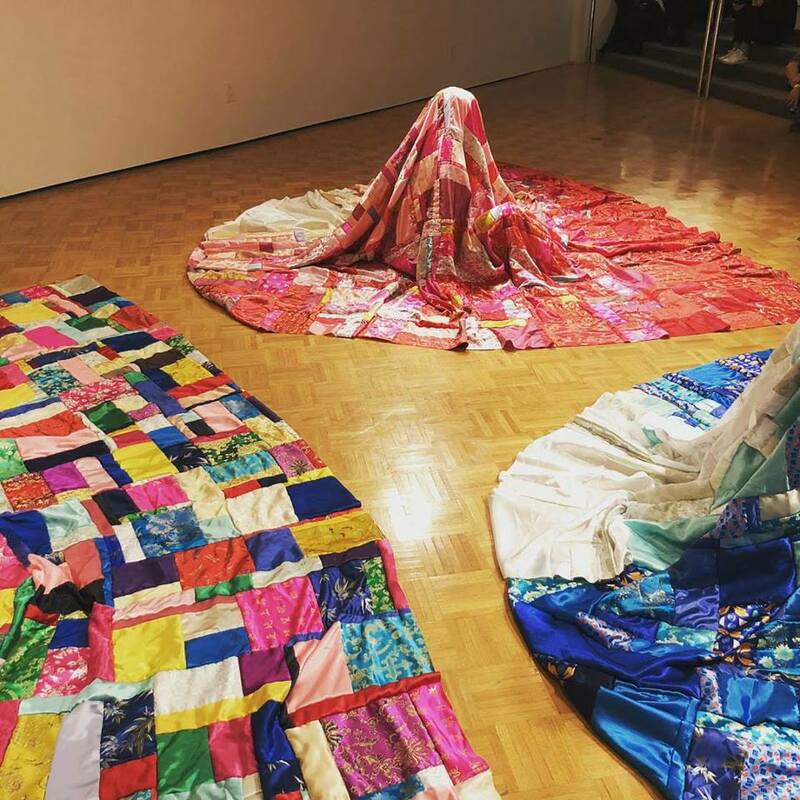 Julia Kwon constructs traditional and hybrid Korean textiles that comment on gender and ethnicity. She creates figures inside enlarged Korean object-wrapping cloth to express both the gravity and absurdity of objectification. The textiles symbolize constructed notions of what it means to be Korean or feminine. Her work is not simply a representation of minority identities but rather a commentary on the dehumanizing, problematic process of being identified, reduced and categorized. 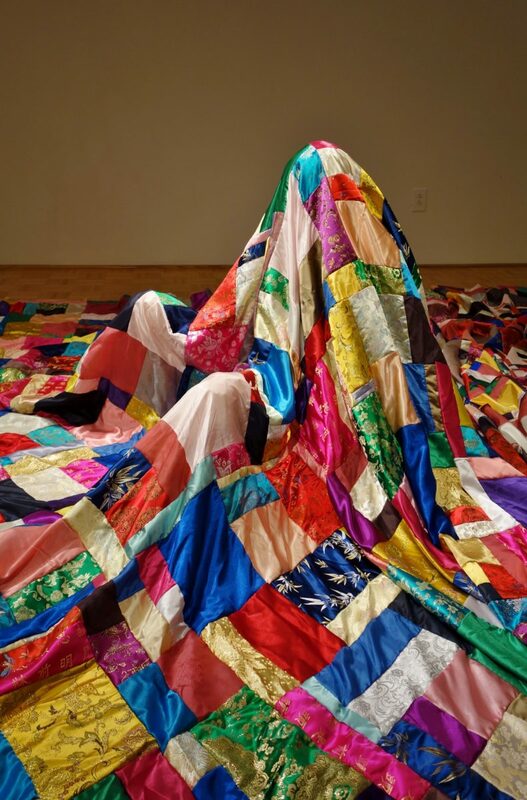 By employing object-wrapping cloth that was historically a creative outlet for Korean women who had limited contact with the outside world, Kwon considers ideas such as tradition, labor, craft and “feminine” work. She cherishes her cultural background by meticulously creating Korean textiles. However, through overburdening the figures with “ethnic” textiles, she not only conveys her experience of being objectified and judged superficially, but also exposes and undercuts the very preconceptions others may have based on her gender and ethnicity. Julia Kwon was born in Northern Virginia and earned her M.F.A. at the School of the Museum of Fine Arts/Tufts University and B.A. in Studio Art at Georgetown University. 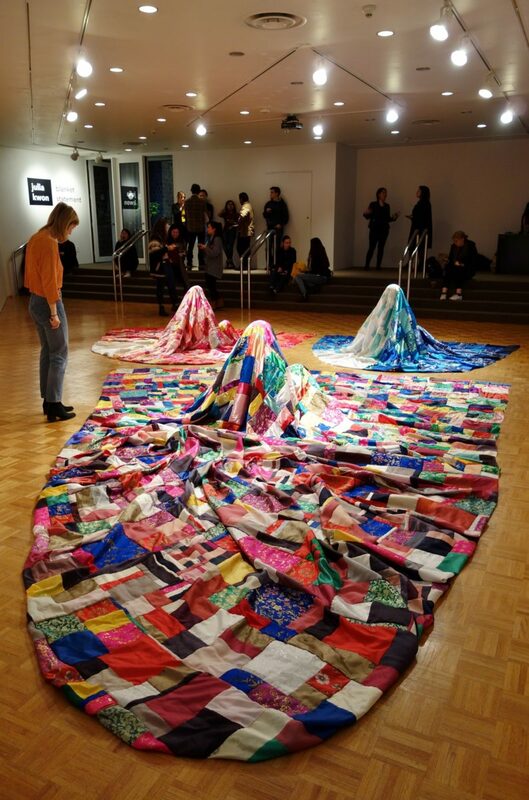 She has been actively exhibiting her work and won various awards such as the artist residency at the Banff Centre for Arts and Creativity, Vermont Studio Center, and Textile Arts Center. 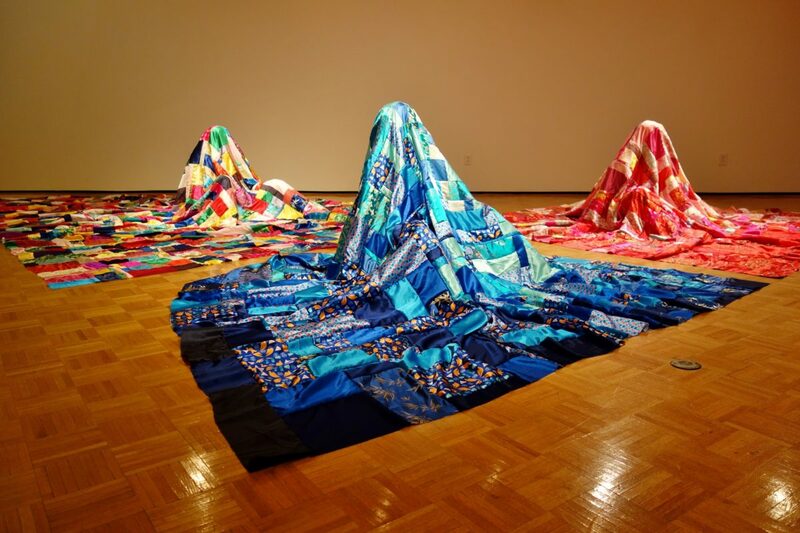 She recently has had solo exhibitions at Hillyer Art Space, Textile Arts Center, and the Project Space at Banff Center for Arts and Creativity. The opening reception will take place on Thursday, February 15 from 5:00 PM to 7:00 PM with an artist talk in the gallery at 4:00 PM in the Gowen Room. The exhibit will remain on view through March 11th.